Get ready for another round of intense shopping experience as 60+ of Manila's top fashion bloggers open their closets once again in a big bazaar this June 1, from 10AM to 8PM, at our BETTER venue, the SMX Convention Center Function Room 3! Bloggers United gets even BIGGER with our partner bazaar The Great Luxe Sale of Mall of Asia and SMX, happening from May 31 to June 2 at the SMX Hall 1. ♦ Great finds for less, perfect for revamping your look as another school year starts! ♦ Meet and interact with style bloggers and online friends! 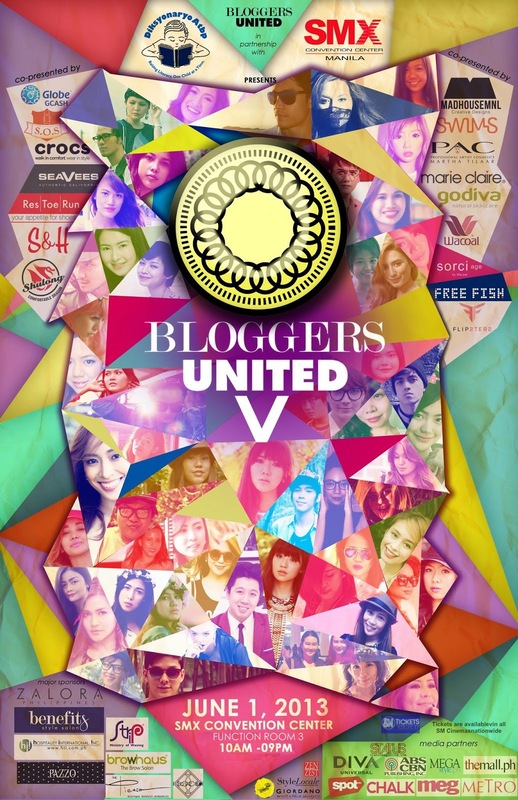 ♦ Contribute to Bloggers United 5's partner charity Diksyonaryo Atbp (https://twitter.com/DiksyonaryoAtbp). You can bring your old books as we will accept donations at the registration booth! ♦ Lots of games, music and other exciting surprises from our BU5 partners! This giveaway will run until May 30, 2013 (Thursday). I'd love to meet you there!!! ♥ Best of luck, loveys! Don't forget to charge your cameras, stash some extra cash, and dress your best as we celebrate another day of personal style and expression! Tickets are available for P100 in all SM Cinemas nationwide, and at the event venue. Use GCASH to purchase your tickets on June 1 to get 50% discount, plus awesome freebies! Joined! Hope I get to experience BU5! Excited about the event. Hope to win!